Capoeiristas of Rio & Learn - Portuguese in Rio - RioLIVE! 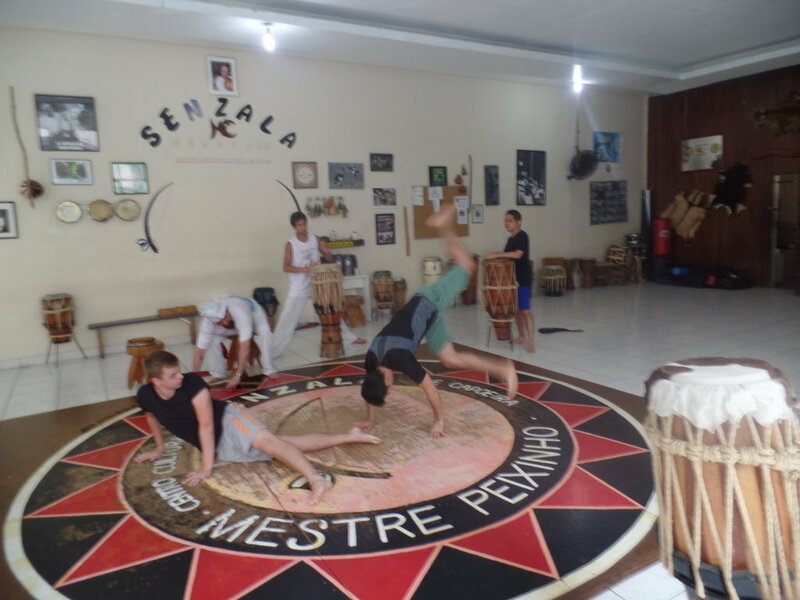 Our Portuguese students very happy with their Capoeira class. Me gusto mucho la clase de capoeira. Definitivamente es algo que cualquier persona debe experimentar si viaja a Brasil, pues es parte de la cultura brasileña y también es una excelente oportunidad para practicar el portugues y hacer un poco de ejercicio. 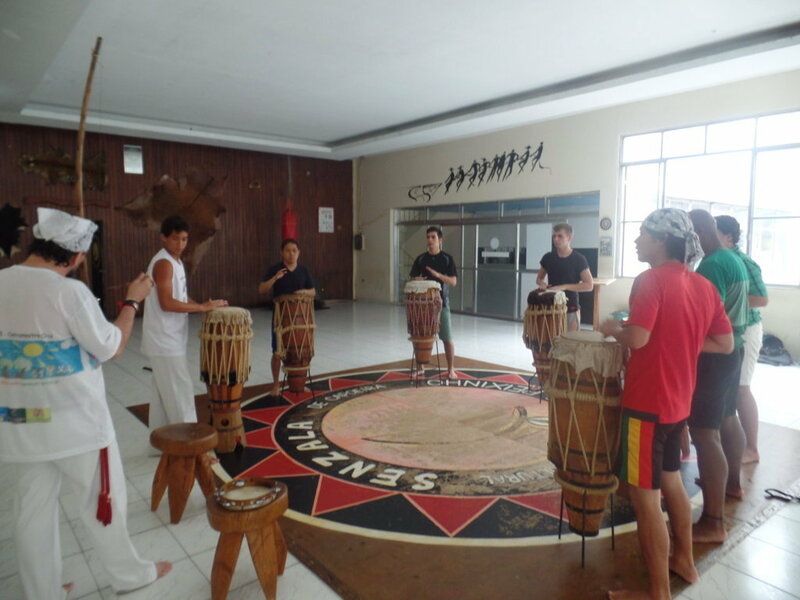 Listening and studying about Capoeira. Capoeiristas of Rio & Learn, that was our RioLIVE! 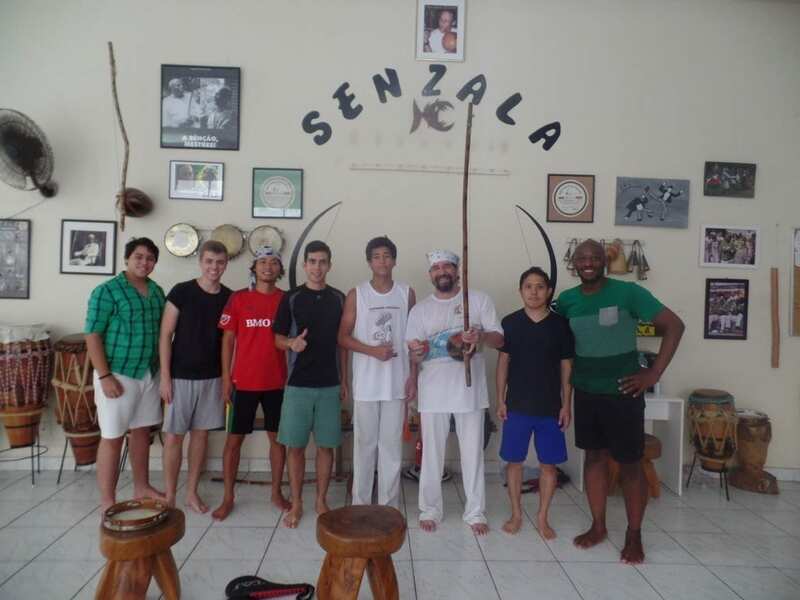 at this time, our Portuguese students from Venezuela, United States, Mexico, England, Japan and Philippines tried for the first time a very nice and interesting capoeira class. We met at Rio & Learn Portuguese School in Copacabana and headed to Leme, it was very nice because we went walking by the beach and speaking Portuguese all the time. 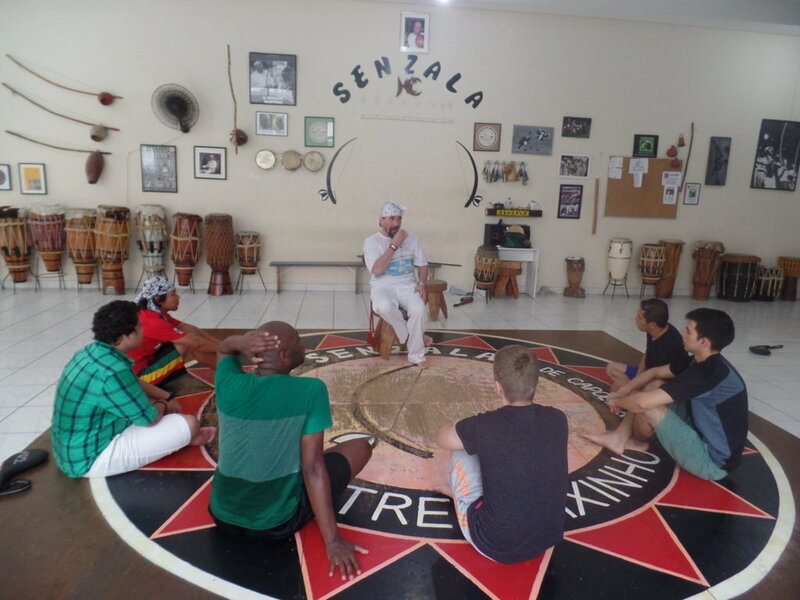 Mestre Toni was our teacher and host, he started the class talking about the history of capoeira and how it changed and influenced the Brazilian culture and also how African-Brazilian people could express themselves a little bit through this art. 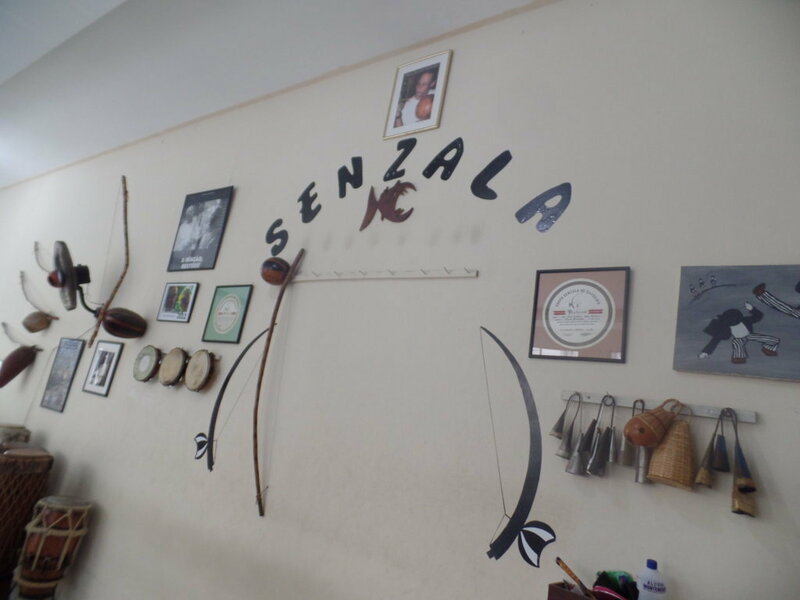 During the class, our Portuguese were getting more and more amazed with the history of capoeira that is a mixture of dance and martial art, step by step, they were learning the basic movements and being satisfied with what they were having. One of the best parts was that all the instructions were being given in Portuguese and they could understand them without any translation. 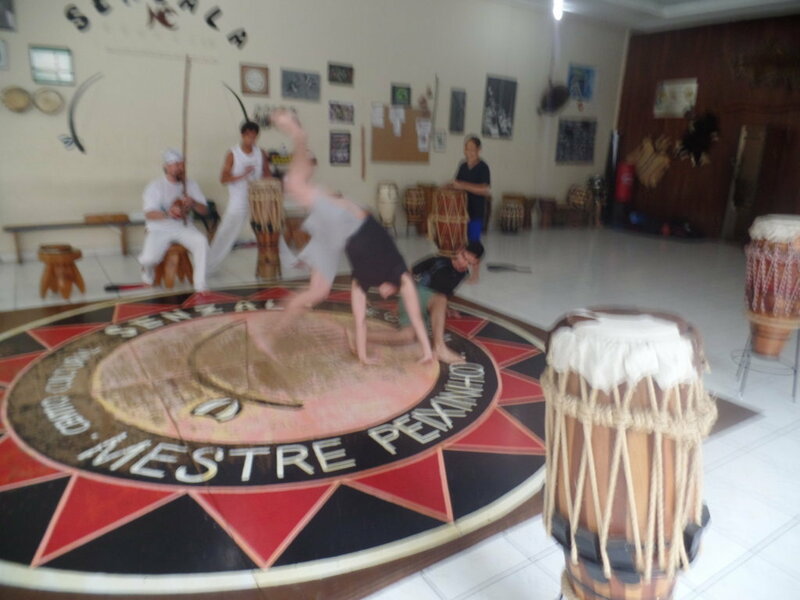 When they have learned the history and the basic movements, the capoeiristas of Rio & Learn were ready to do an original Roda de Capoeira and practiced what they have learned.We are very sure that they loved to know more about the carioca and Brazilian culture and we are also sure that they will become outstanding capoeiristas in the future. 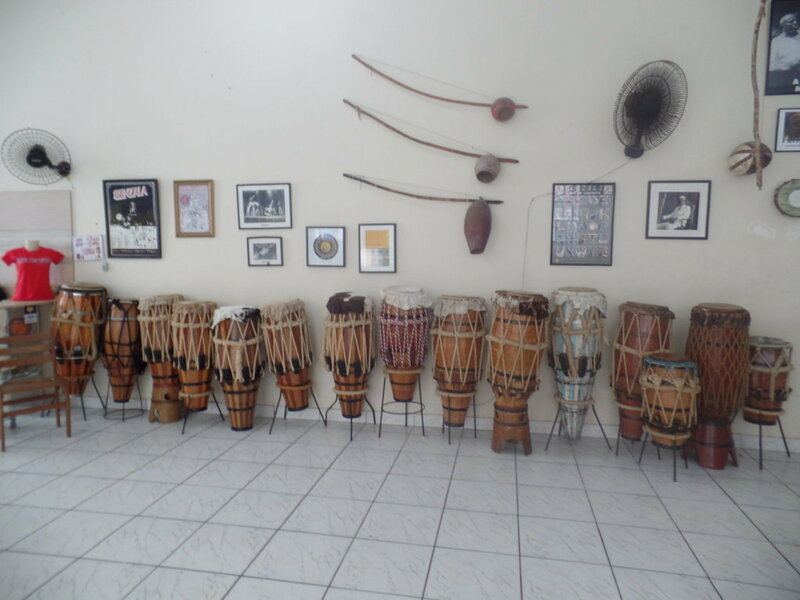 Do you want to study Portuguese while you have fun and know about Brazil and its culture? Rio & Learn is your place taking part in our RioLIVE! Activities.